Brokerage Account Types - which is the best for me? Picking from the different brokerage account types available to start your dividend investment journey can be confusing. It's important to know your options and then pick the brokerage account that is best suited to your circumstances. 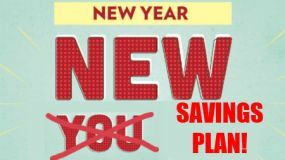 Will you need help with your investments or do you want to do it all yourself? Whether you can just have a cash account or will need more complicated products such as a margin or option account. All of this is explained below. 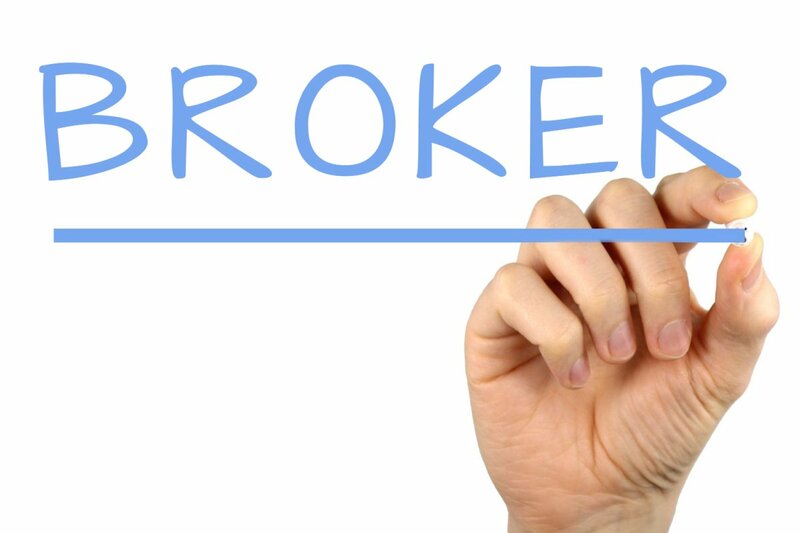 A broker is a licensed company that will act on your behalf to buy and sell shares or other securities. They will normally charge a fee for this transaction and can provide other services such as holding stock for you, collect dividends on your behalf, hold cash, and provide research and analysis for you. Until the explosion of the internet, most broking was done over the phone and was quite expensive. Over the last couple of decades, though, there has been a huge increase in the number of brokers due to the provision of online broking services. This has enabled investors to do everything themselves and significantly reduced the cost of investing. You still have the choice of whether you want to choose between an online discount broker or a full service broker, so what is the difference between these brokerage account types? What are the advantages of an online discount broker? An online discount broker will allow you to buy and sell shares (or other securities) very quickly, easily, and cheaply. All you need to do is go to the website of such a broker, set up an account, deposit cash, fill out a buy or sell order (with the ticker code of the company e.g. KO for Coca-Cola, AAPL for Apple) and click to execute the transaction. This ease in dealing has meant the cost of dealing has dramatically reduced over the last couple of decades (typically costing $5-10 per transaction). 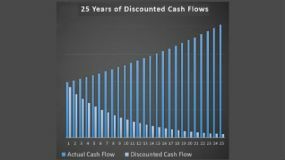 This is fantastic news for investors as it means that more of your money can go to actually purchasing stocks rather than being lost in the costs. Online discount brokers do mean you will need to do the research and work yourself. 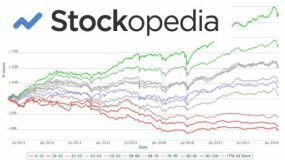 This may mean using tools such as Stockopedia or Valueline. That said, if you don't fancy doing the work yourself and just want exposure to the market then you can use online discount brokers to purchase ETFs (exchange traded funds) that can give you access to the indexes or sectors you want. 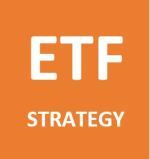 You can read more about the advantages of ETFs here. Who might use a full service broker? Online discount brokers have made investing far easier for greater numbers of people but full service brokers can still play a part for many people. A full service broker will allow you to have a personal relationship with your broker and you can discuss your financial situation and your goals. You can then talk through your options and how you want to structure a portfolio that is right for you. You can even hand over the management of your portfolio to them. Some full service brokers can offer you extra services such as research, tax planning, banking and estate planning. Full service brokers may also give you a much wider range of securities to choose from. This could include REITs, unlisted shares, bonds, or international shares and currencies. Online discount brokers may not offer all of these. Clearly if you feel uncomfortable with finance in general or have very complex (or large!) financial affairs then using a full service broker could be the right option for you. What is a cash brokerage account? A cash brokerage account is a simple broker account into which you deposit cash and then use it to buy shares, bonds, ETFs or any other product the broker offers. The key with a cash account is that the purchases you make are FULLY funded by you and credit (or margin) is NOT offered by the broker. These accounts are clearly less risky both to you and the broker. This is because you cannot lose more than the amount you deposit in the cash account and you cannot be asked to post more cash or collateral (other securities) if the value of your holding goes down. These accounts are also less risky for the broker as they are not extending credit to you so they simply take fees (and possibly other charges) from your account activity. What about margin brokerage accounts? A margin brokerage account allows you to "leverage" up by not paying the full face amount for a stock or other security. In this situation, the broker is effectively giving you a loan to buy the securities you want. The broker will then use the securities and cash you own as "collateral" against the value of your loan. The reason for having a margin account is to help you magnify your gains. For example, if you bought $10,000 of stock in XYZ Plc and put down half the money (the other 50% was borrowed on margin), then if the stock value goes up by 20% to $12,000 then your gain is actually 40% (excluding costs) as you will end up with $7,000 from your original $5,000 investment. Be extremely careful with buying securities on margin, though. If the asset you buy on leverage goes down in value then you'll be on the hook to either deposit more cash into your account or be forced to sell the asset. This can get very dangerous and do untold damage to your wealth. Should I consider options trading? Options add another level of sophistication to investing and are only relevant to extremely experienced and advanced investors - here is just a brief introduction: Options give you the opportunity (hence the name "option") to buy or sell a security in the future. A "call" option is the option to buy a security in the future and the "put" option is the option to sell in the future. The cost of that option is known as a premium. Generally you would pay a premium when you buy an option but receive a premium if you sell an option. Option brokerage accounts are simply accounts opened with brokers that allow you to deal in options. Again, these are more complex instruments, so you need to be very careful when dealing in options as your liabilities can grow very quickly if they go wrong. It is very important that you have a thorough understanding of options before you even consider dealing in them.